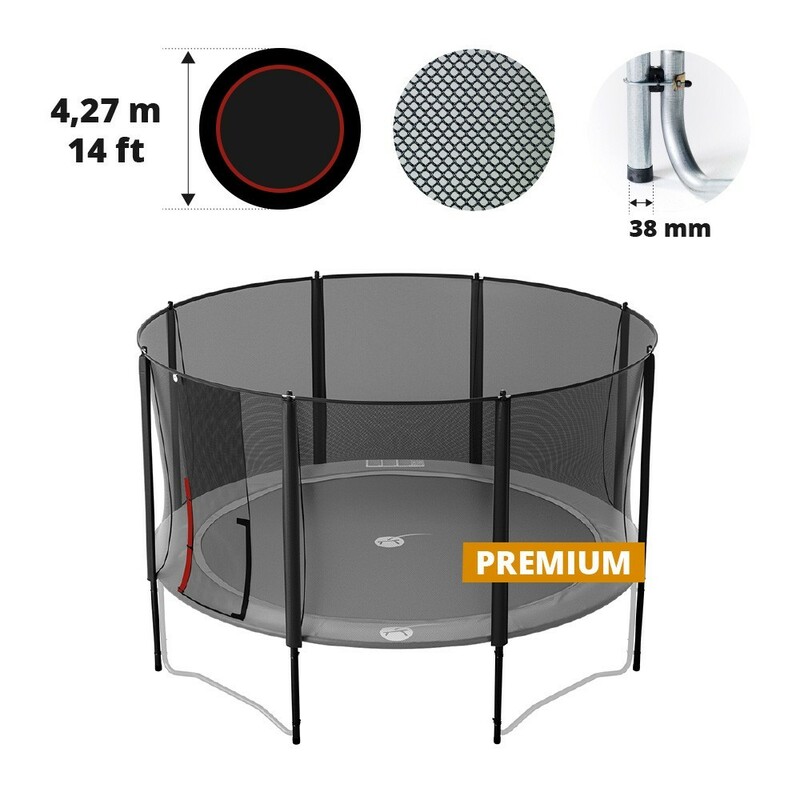 Your 14ft trampoline safety enclosure needs to be changed? 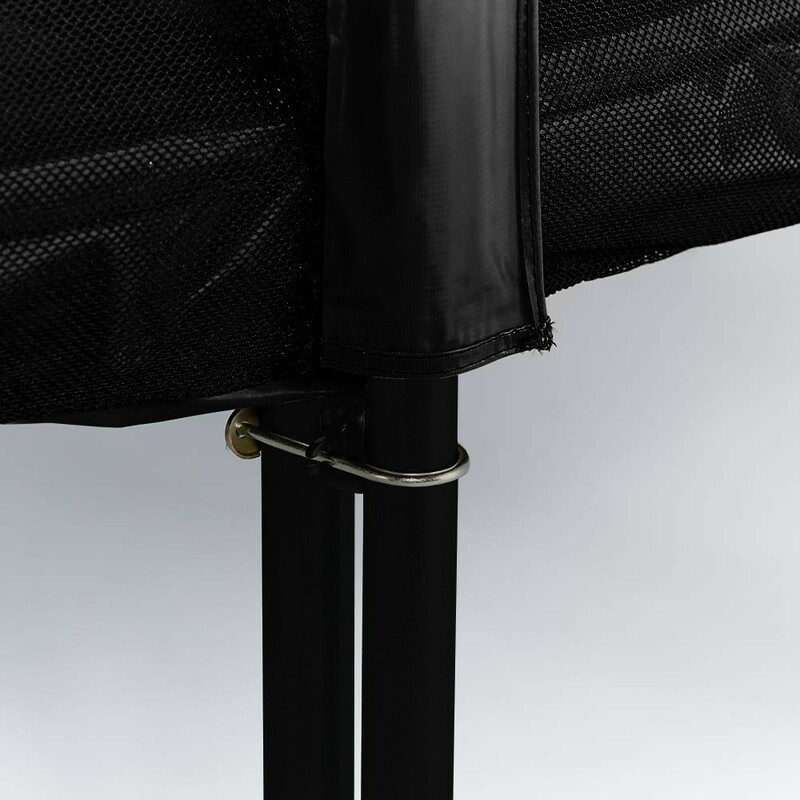 This premium black safety enclosure delivered with net posts and fixing brackets will allow you to secure your trampoline. 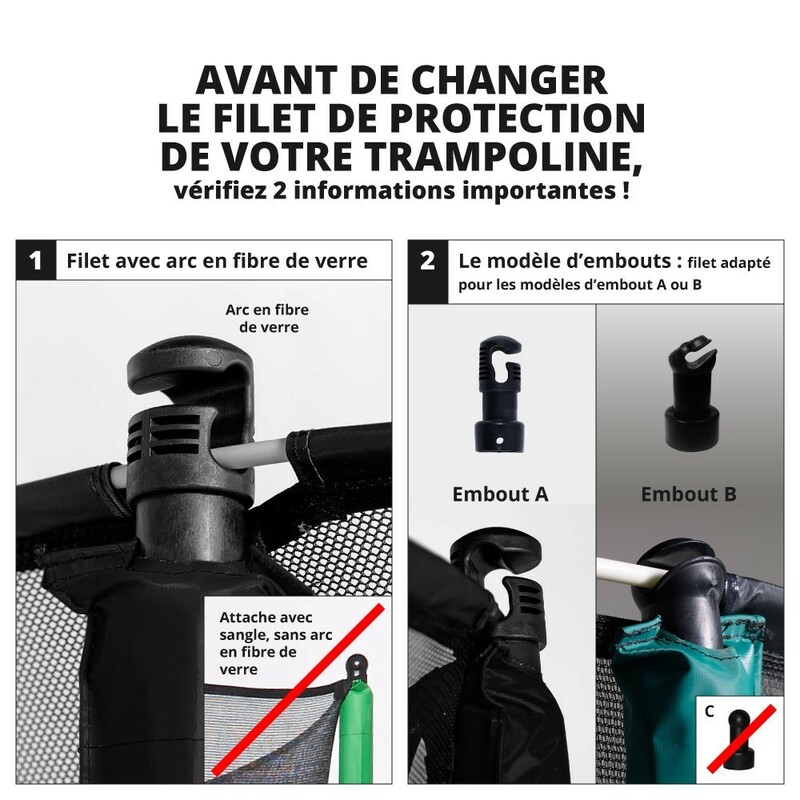 An indispensable element on your trampoline for all users. 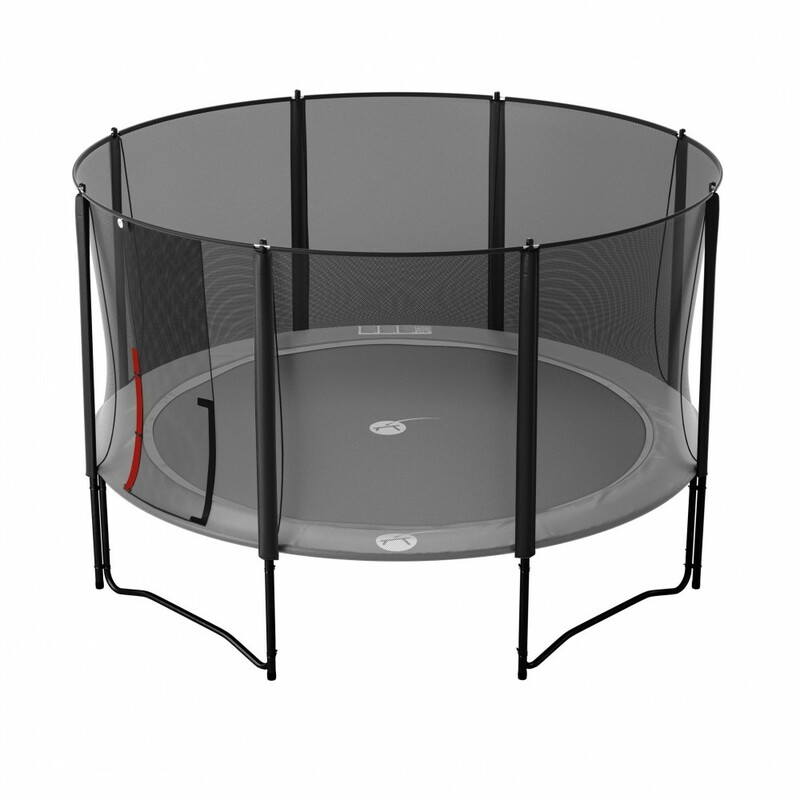 - Adapted to 14ft trampolines (4.30m) and equipped with 4 feet, this enclosure is installed on our Booster black 430 trampolines. It is also compatible with other brands. - High stability and solidity thanks to 8 galvanized steel net posts. 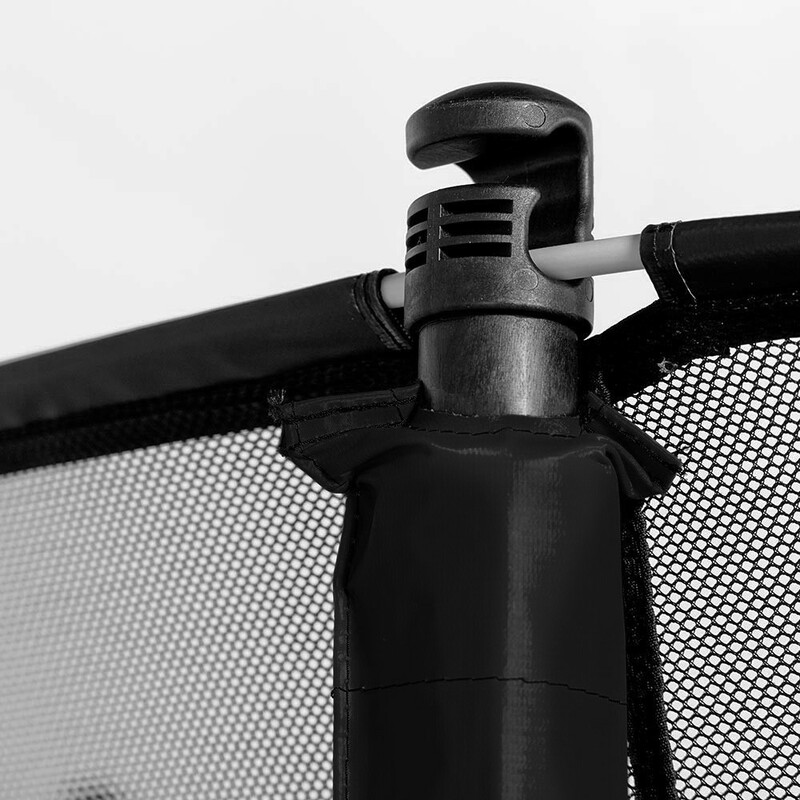 Standing 2.69m high, these net posts stand directly on the ground for perfect stability. They are fixed in2 separate points on each foot with provided fixing brackets. 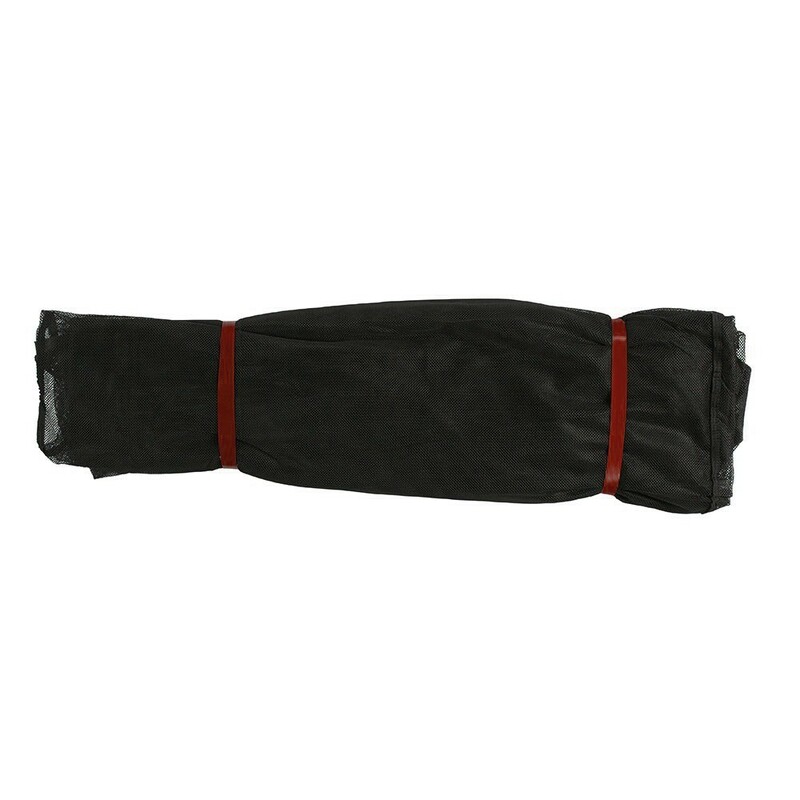 - Guaranteed safety for users thanks to a high standing net and padded net posts with 10 mm thick foam and PVC protective sleeves. 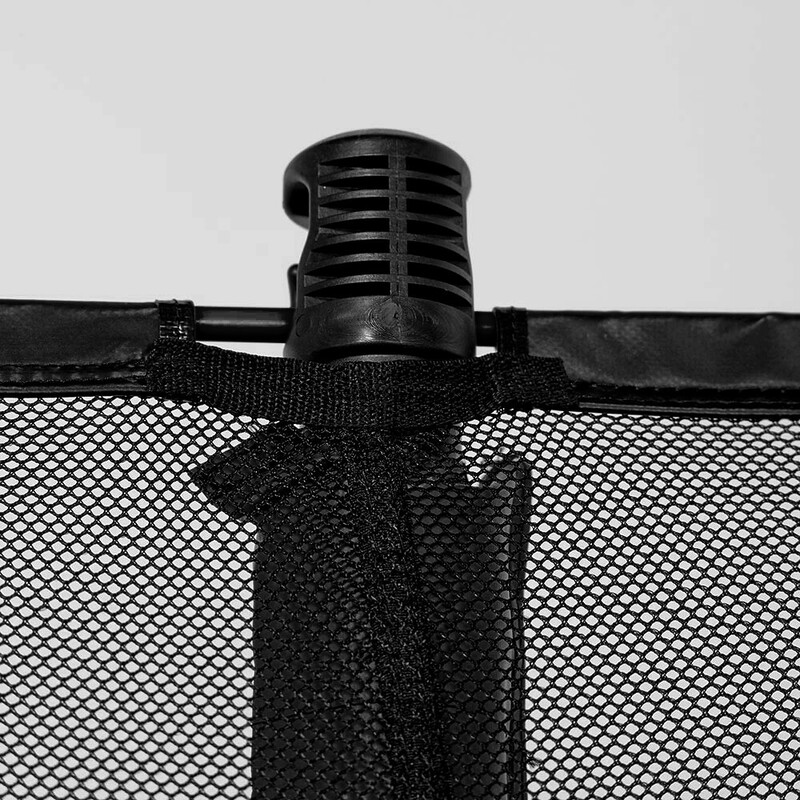 - Highly resistant polyester net: this net will hold back all users allowing them to remain inside the trampoline area. It is stretched thanks to fibreglass rods placed on the top part of the net. 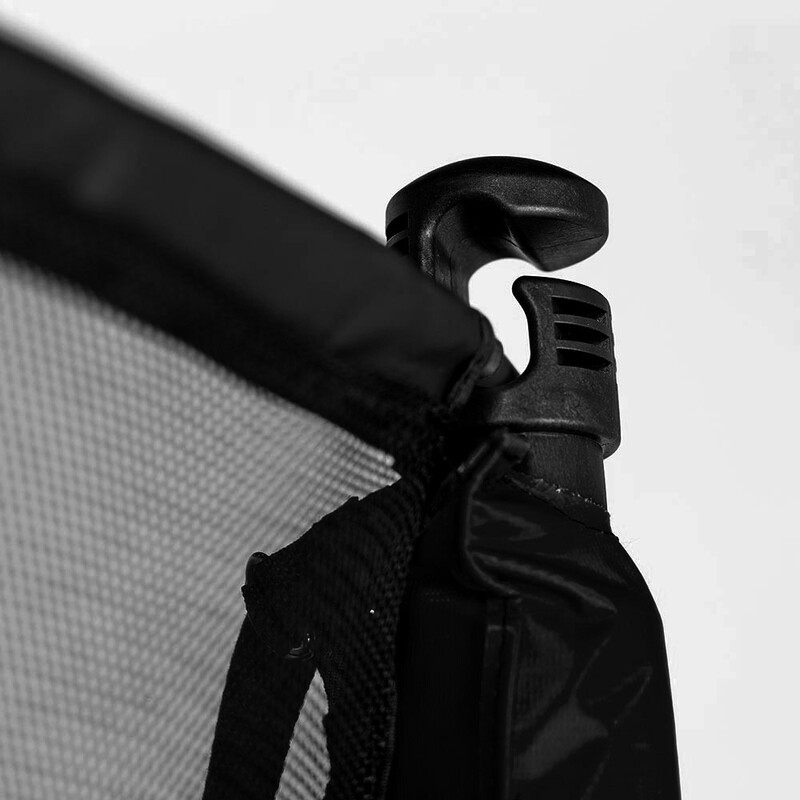 Made from fine netting, it is designed to stop a child from getting their fingers caught. 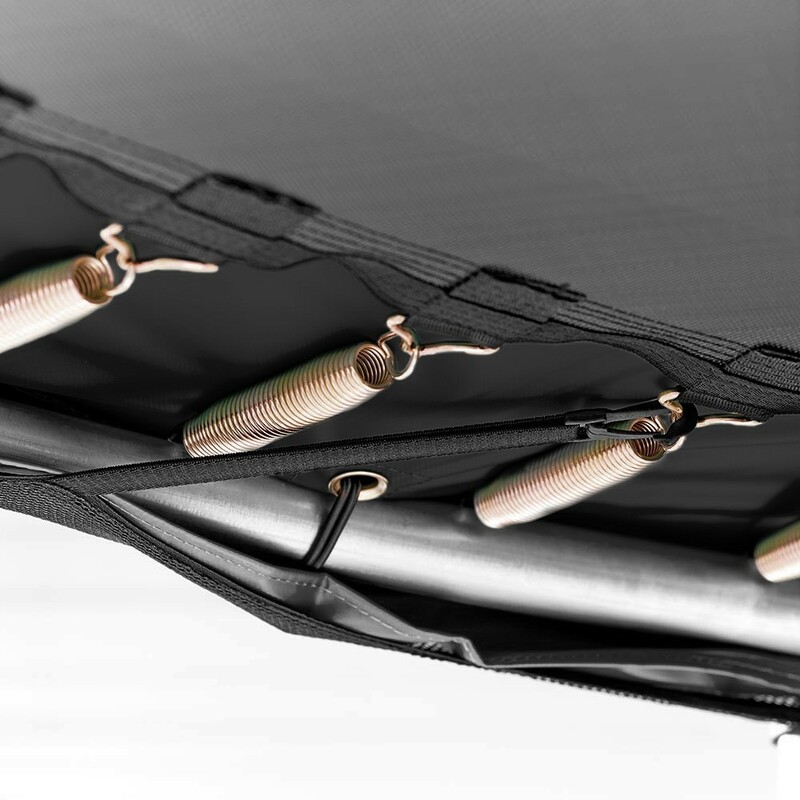 It is also fixed under the trampoline to avoid leaving any space between the netting and the frame pad.